Elk Studios have been building a solid reputation over the years for the solid online slots that they have been developing and it goes without saying that Wild Toro is one of their very best. Wild Toro is a 5-reel, 178 ways-to-win online slot that carries an RTP of 96.4% and is always among the most popular online slots at the online casinos that have it as part of their games catalogue. The main reason for this popularity is that it is a high variance slot that is known for paying out some big wins. On top of that, as with any Elk Studios title, the aesthetics of Wild Toro are as good as you are likely to see across most online slots. With fantastic game features that could lead to big wins such as walking wilds, sticky symbols and respins, this online slot is one that we think most players are going to enjoy. These features are where you could land some of the games bigger payouts and you will also find them extremely entertaining as well. Themed around bullfighting, Wild Toro is about the Bull Toro and the Matador that he is hunting down. This might not be an overly popular theme for many of you but it has been done in a light-hearted manner at least. Elk Studios are renowned for the top-quality graphics and animations that they create for their online slots and with Wild Toro, there is no exception to this rule. It looks absolutely fantastic and when the reels spin everything looks impressively smooth. Everything has been drawn in a cartoon-style and on the reels, you will see a good variety of symbols. Impressively, Wild Toro does not have any playing card symbols which many other slots include on their reels and instead has bespoke symbols that are used for all winning combinations. Those symbols include bronze, silver and gold coins, oranges that have been stabbed by knives, hand fans, roses and the wild symbol, Matador and Toro symbols. Checking on the games pay table will allow you to see what each winning combination is worth and you will also be able to find out more about the excellent game features that Wild Toro has. Spinning the reels can be done with bets ranging from between 0.20 up to 100.00 and as this is a fixed-pay line slot, there is no need to select any paylines you wish to cover. Instead, you just select your coin values and how many you wish to place in order to alter your total spin bet. Wild Toro is a high variance slot which means you might have to be a little patient for the wins to come but you will know that when they do, there is a very good chance that they will be big. They could even be as big as the highest payout of 2,250x your total spin bet. Walking wilds are the first main feature of Wild Toro and this bonus will be activated when you manage to land the Bull symbol on the fifth reel. Toro, the bull, will then make his way from the fifth reel to the first reel, one reel at a time and will give you respins of the reels for each step. Any wins that you make during this round will be calculated and paid at the end of the round. Furthermore, the next feature on Wild Toro is activated during this round as well. As we mentioned, during that Wild Toro walking wilds round you can also activate this Wild Toro Goes Wild round. As those respins are being played out, should the Matador appear on the reels, Toro will go completely wild and start chasing him across the reels. As he chases the matador, each symbol he lands on will turn wild. This carries on until Toro catches and defeats the matador. 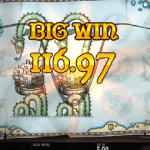 As you can imagine, with so many wilds, you can bring in some fantastic wins that will look great in your online casino account. The final feature on Wild Toro is that of the Matador respins which are activated when you land at least three of the matador symbols on the three middle reels. You are given one spin for each of those matadors and those symbols remain on the reels as sticky while the spins are played out. As these spins are played out, you will be given an additional respins for every matador that shows up. However, should you use up your respins with no new Matadors or the Toro bull makes an entrance – the respins round comes to an end. If you like big wins and fantastic graphics, there is no better slot for you than Wild Toro by Elk Studios. This online slot will lead you a high-octane ride of highs and lows and could result in a hugely successful session of online gambling due to the tremendous wins that this slot is more than capable of paying out. Where Wild Toro really stands out is through the many lucrative game features that it has such as Walking Wilds, Sticky symbols and respins. 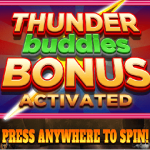 There might not be any free spins round as such in this slot but those features more than make up for it. What we also like is the high variance of this slot that will definitely appeal to the high rollers out there. What this means is that while the wins will be harder to find, they will normally be worth the wait due to their size. If you have not tried out Wild Toro as of yet, you really should consider going to your favourite online casino and finding it. Once you do, you like us, will probably add it straight to your favourites list and become a regular player due to the top-class experience it gives you.